The magic of Winnie the Pooh has lasted for generations. In the decades since author A.A. Milne introduced us to him, our favorite silly bear has captivated both adults and children with his wisdom, humor, and love of honey. Now, you can bring home that sweet magic with the release of Disney’s live-action film, Christopher Robin, available in several different formats. Thank you, Disney, for sending my family the Blu-ray! Why Winnie The Pooh Is So Special? Winnie the Pooh has always had a special place in my heart. Ever since I was a child, something about that bear and his friends has really resonated with me. I think that it is the combination of childhood wonder mixed with the wisdom of age. For sure, The Hundred Acre Wood is a magical place where Christopher Robin could let his childhood imagination run wild. But there were always lessons to be learned that made all of us stop and reflect upon our own lives. This was true for me as a child and it is still true now that I’m an adult with my own kids. I was so excited to hear that Disney was making a live action film, “Christopher Robin”. Now, Christopher is all grown up and the magic of The Hundred Acre Wood is a distant memory. He is an adult with adult problems. But Winnie the Pooh is also in need of help and he sets out on a journey to find his old friend in London. It is a touching tale that reminds us that the magic and wonder of youth should never be far away, no matter how old we get. Leading this talented cast is Golden Globe® winner and Emmy® nominee Ewan McGregor as Christopher Robin. Other multi-award winning actors such as Brad Garrett (perfectly cast as Eeyore), Toby Jones, Peter Capaldi, Sophie Okonedo, and Hayley Atwell round out the cast. Great voice actor Jim Cummings, who has 540 acting credits to his name, voices both Winnie the Pooh and Tigger too! Director Marc Forster does a great job getting all of this talent together to create a tale that will make you both laugh and cry. Now, it’s never been easier to have a family movie night with Winnie and his pals. You can download and instantly watch Christopher Robin in digital HD or SD format. The best way to do this is to use Movies Anywhere. Movies Anywhere works as a convenient central hub where you can purchase and download movies from participating retailers. Now, keeping your movie collection is convenient and easy and you can’t watch them whenever wherever you want. The available retailers include all the big names, including iTunes, Amazon Prime Video, Vudu, Google Play, Microsoft Movies & TV and FandangoNOW. You can also redeem the digital codes that you get with DVDs and Blu-rays. With over 7500 titles to choose from, you can be sure to always have something to watch on family movie night or after the kids go to bed. 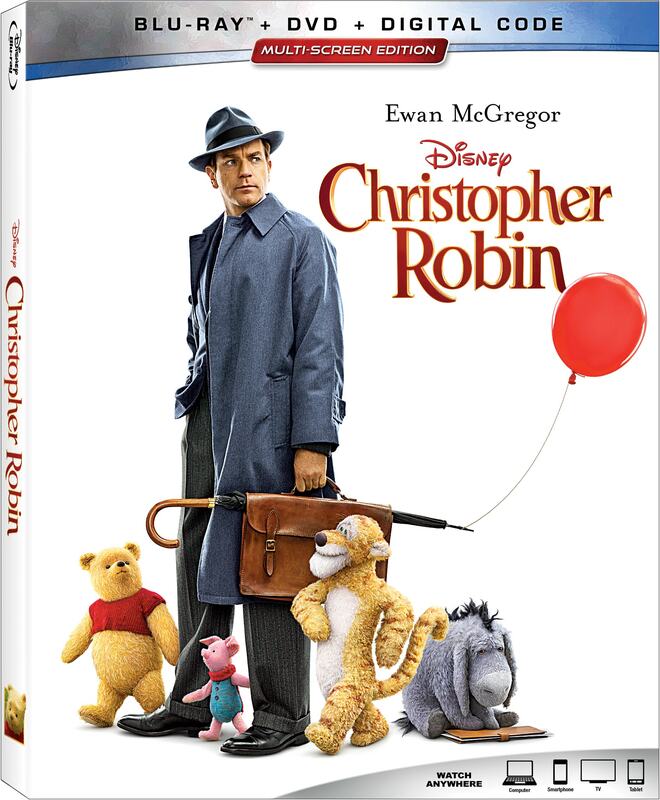 Disney’s Christopher Robin is also available in a physical copy as a Multi-Screen Edition (Blu-ray, DVD and Digital Copy) or a single DVD. Disney’s Christopher Robin will make a great gift this year for adults and children alike. This family-friendly movie is something that all ages can relate to. It would fit perfectly in a stocking or wrapped up under the tree. Or, get it for yourself and your next family movie night. Pop some popcorn, light a fire and snuggle up on the couch with your loved ones. 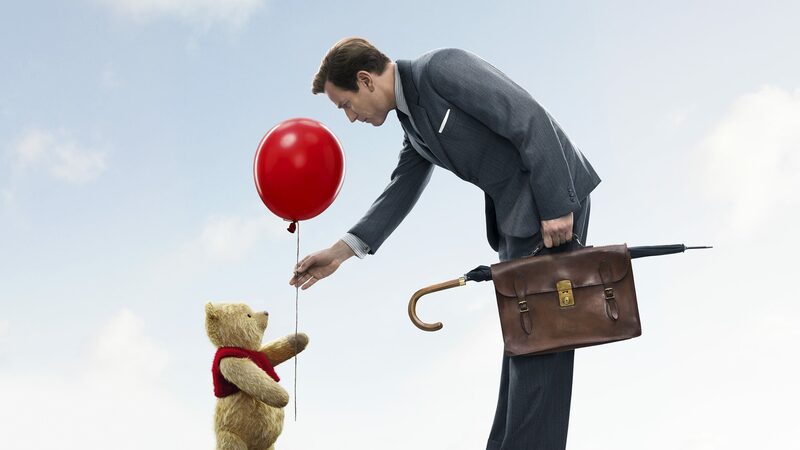 With Disney’s Christopher Robin, you can recapture that magic. After all, it was never that far away.